Balconies lend a luxury element to the most mundane of architecture. They allow a joining of the outside and inside worlds, with even the smallest of balconies allowing a perspective just not possible from a window. 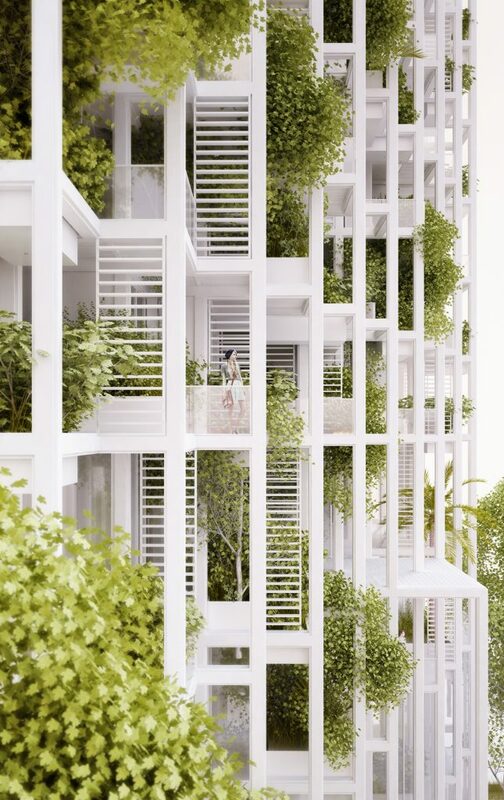 Salzburg and Beijing-based Architecture studio Penda excels at balcony design based on the founders – Chris Precht and Dayong Sun’s belief that architecture serves as a bridge to connect nature, culture and people. 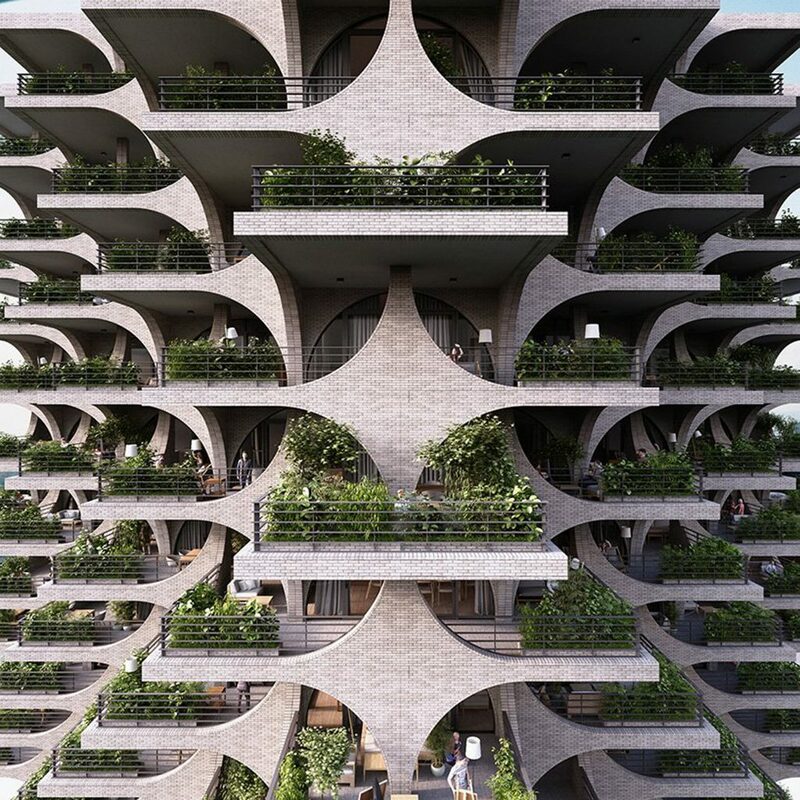 The studio’s latest project in India, the Vijayawada Garden Estate: A Tree Storey features a high-rise residential development for developers Pooja Crafted Homes, whose ethos is to create “a natural living experience” for the residents of all its buildings. An integral part are the balconies, complete with a variety of railings and pots for plants that can be customised for each apartment. A grey water supply system collects rainwater on the roof and reuses it for watering the plants on the balconies. 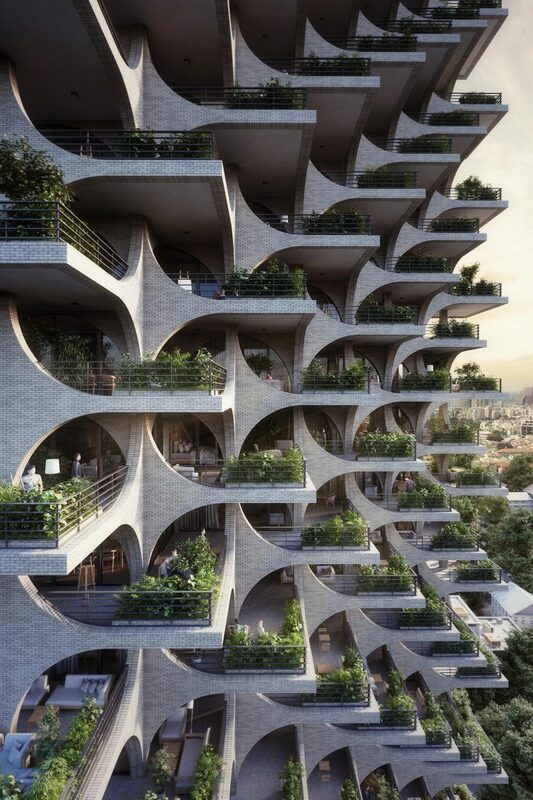 Penda is also the practice behind balcony tower Tel Aviv Arcades – a residential development with facades made of modular archways and terraces, which takes its inspiration from the city’s legacy of Bauhaus architecture. The 116-meter-high tower includes alternating setbacks to provide residents with sunny garden terraces or secluded, private balconies. Tel Aviv, which holds UNESCO World Heritage status, has the largest number of Bauhaus–style buildings in the world, with more than 4,000 buildings in the German art–school style as German-Jewish architects sought sanctuary in the city in the 1930s and 40s. They adapted their designs for the Middle Eastern heat with long balconies that shade the balconies below and in turn, are shaded by those above. 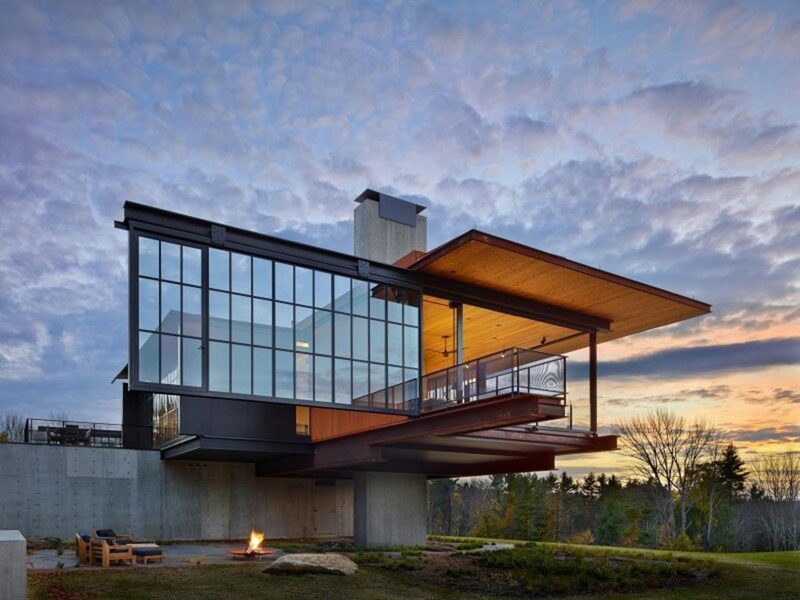 Olson Kundig is a full-service design firm whose work includes homes (often for art collectors), museums and exhibition design. 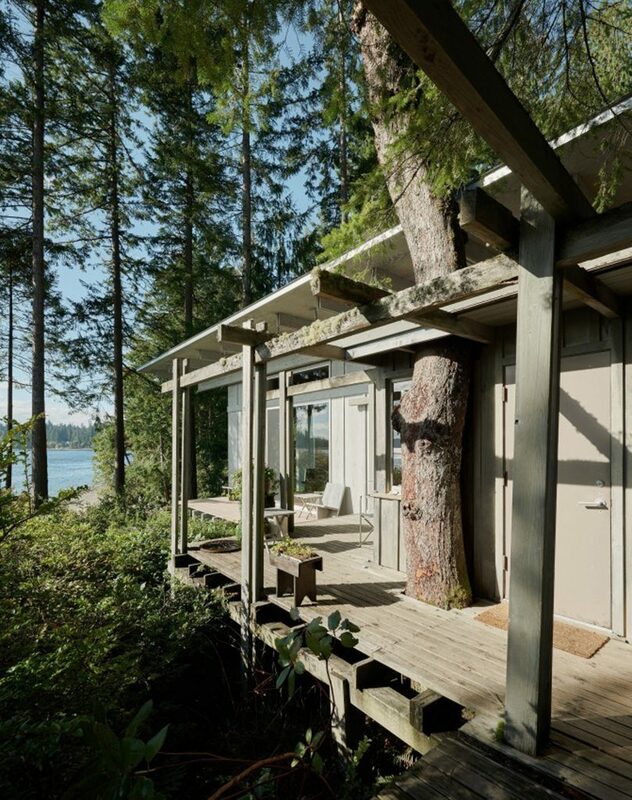 The firm began its creative existence in 1966 with the architect Jim Olson, who started the firm based on the essential ideas that buildings can serve as a bridge between nature, culture, histories, and people, and that inspiring surroundings have a positive effect on people’s lives. 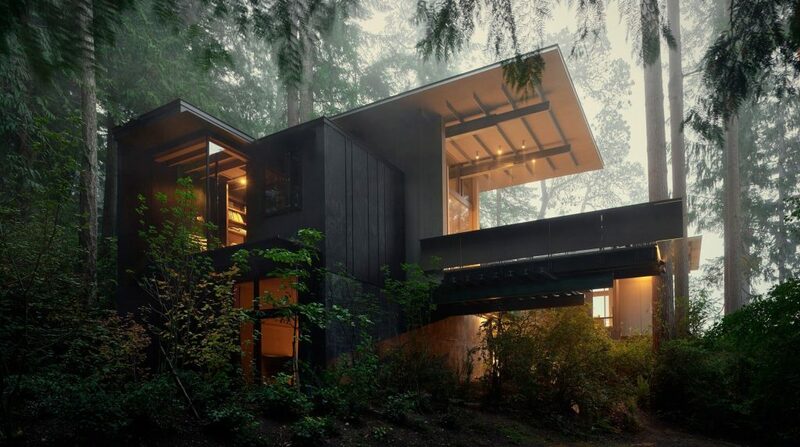 Olson’s ethos is perfectly illustrated by his evolving project on Puget Sound on the north-west US coast in Washington. What began as a 14-foot-square bunkhouse built in 1959 when Olson was 18, has morphed through subsequent remodels in 1981, 1997, 2003 and 2014 into a modest, yet highly liveable weekend retreat. The bunkhouse in Longbranch is intentionally subdued in colour and texture, allowing the lush natural surroundings to take precedence. The rooms themselves are essentially a set of boxes set underneath a unifying roof; together, they create a single form that is grounded onto the hillside and projects over the landscape. The practice’s newest project is Berkshire Residence, Massachusetts. Set on three hundred acres of rolling Berkshire landscape, the house is set in what Olson calls “the ecotone” – the border between two adjacent ecological systems. In this case the line where the forest meets the meadow. The rooms of the house are all on one side of a 150-foot-long hallway that runs the entire length of the house and then extends 12 feet farther out at each end to mimic a ship’s prow. Farming Studio, based in Hanoi took on. When the team first looked for office space in Hanoi in 2016 it found that a lot of balconies were unused, probably because of dust, noise and fear of encouraging burglars. Farming Studio took on a downtown house with balconies, so it could turn them into friendly, multifunctional open spaces using architectural solutions. 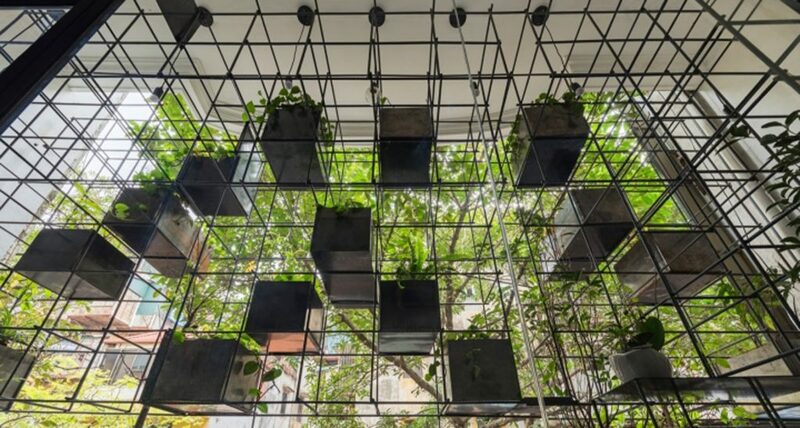 It created a steel-girder “tree” system that it says doubles the growing space of the balcony, while allowing plants to create their own microclimate and minimise any adverse climate and environmental effects, such as pollution. The steel “trees” also act as a sun-proof barrier and a rain-proof structure. The latest incarnation of the system also includes aquaponics to create the ECO-Balcony system.